The two day La Vie en Bleu 2016 event has always been a firm favourite in the motoring calendar among French car enthusiasts. This year promises to be no exception, especially to enthusiasts who like a little Italian flair mixed, as organisers include ‘La Vito Rosso’, a celebration of Italian classic and performance cars, in the weekend. La Vie en Bleu 2016 – what’s on? On the day the La Vie en Bleu 2016 paddock will be packed with millions of pounds of French and Italian classic cars and super cars. 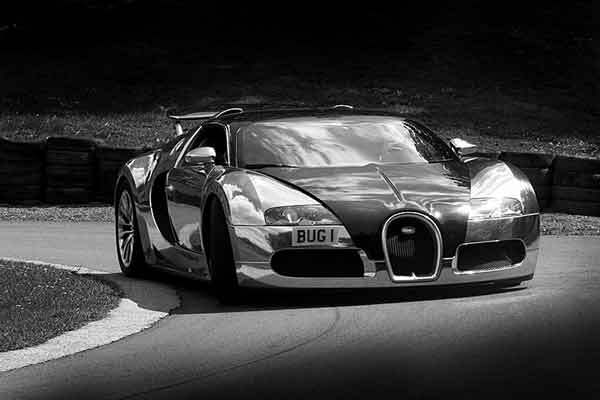 Prescott Hill Climb is home to the Bugatti Owners Club, so Bugatti fans will be pleased to know a Bugatti Veyron Supersport and Pur Sang are confirmed as well as a rare Bugatti EB110. There will also be a large number of iconic French Voisin cars in the paddock. In keeping with ‘La Vita Rosso’ numerous Ferrari’s including an Enzo, a 1965 275 GTB, a 246 Dino, a 330 GTC and a Fantuzzi 196S. To celebrate the 50th anniversary of the Lamborghini Miura, the ‘Twiggy’ Miura, named after its first owner Justin de Villeneuve (Twiggy’s manager in the 1960s) will also be at Prescott. Other Italian marques include a 1975 Maserati Khamsin, a Lamborghini Countach, an Alfa 1750 6C, an Alfa Romeo 156 racing car that competed in the European Touring Car Championship and Nelson Piquet’s 1990 Benetton F1 Car. Plus many more. Visitors to Prescott will also be in for a real treat, when the ‘Beast of Turin’ roars into action. The Beast of Turin’ was built in 1910 with the express intention of beating the land speed record, held at the time by Blitzen-Benz. Its 28.5-litre Fiat S76 engine could propel the car to 116 mph, fast enough to secure the one-mile land speed record, in 1911. The celebration will see the finest French and Italian automobiles in action on the hill with special competition classes. There will also be trade stalls, car clubs out in force and in the skies above, on both days, Tiger Aerobatics will perform their vintage air display (weather permitting). As well as the cars, La Vie en Bleu 2016 boasts a whole range of live entertainment that will keep the whole family amused throughout the weekend. On the main stage will be Mark Halliday, known throughout Europe and the USA for his Dean Martin act in the hit musical “Rat Pack ­ Live from Las Vegas”. Mark will bring the style, panache and wit of crooner Dean Martin, performing legendary hits such as “That’s Amore”, “Mambo Italiano” and many more. Opera isn’t something you usually find at a motorsport event. ‘Oyster Opera’ are professional opera singers that will transfix you with their act. The duo regularly perform at celebrity parties, including that of Sir Elton John. Alongside the roving accordion player, and popular stilt walkers will be the stunning Vegas Showgirls, swapping their feathers for flapper dresses and performing Charleston routines to French inspired Electro Swing songs.